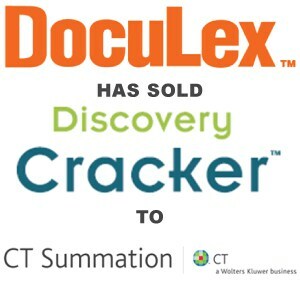 Berkery Noyes Represents DocuLex In Sale Of Discovery Cracker Product To CT, A Wolters Kluwer Business - Berkery, Noyes & Co., LLC. New York, August 28, 2007 — Berkery Noyes, the leading independent investment bank serving the media, information and technology markets, announces that it represented DocuLex, Inc. in its sale of Discovery Cracker, an electronic discovery product, to CT, a Wolters Kluwer business. Terms of the transaction were not disclosed. With its acquisition of Discovery Cracker, CT Summation will offer the first integrated solution suite available to manage the ever-growing volume of electronic data, from discovery through trial. DocuLex, Inc. is a leading developer and provider of litigation support software and solutions for the legal industry. 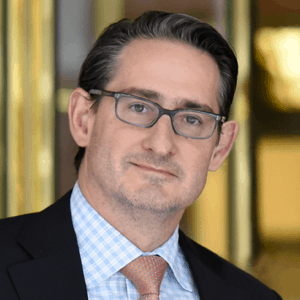 The Company’s clients include law firms, litigation support service bureaus, government agencies and the corporate legal departments of major corporations. CT Summation, the leader in litigation support and electronic data discovery solutions, pioneered litigation support software in 1988. From standalone systems to large-scale hosted solutions, CT Summation’s award-winning product family—consisting of iBlaze, WebBlaze, Enterprise, CaseVault and Discovery Cracker—provides a complete and integrated solution suite from discovery through trial. CT Summation, together with CT TyMetrix and its leading Web-based management TyMetrix 360°solutions, represent the Litigation Solutions of Wolters Kluwer Corporate Legal Services. For more information, please visit www.ctsummation.com and www.cttymetrix.com. CT, a Wolters Kluwer business, provides intelligent software and service solutions that empower legal professionals to more effectively manage dynamic information, speed workflows and make critical decisions. CT is the market leader for corporate compliance and governance services and solutions, including solutions for managing statutory representation, corporate transactions, and jurisdictional and securities compliance; UCC products and services for corporate due diligence, secured lending, bankruptcy, and real estate, among other areas; matter management and e-billing applications, litigation support software, and electronic discovery; and innovative trademark research offerings. CT is based in New York City. For more information, please visit www.ctlegalsolutions.com.